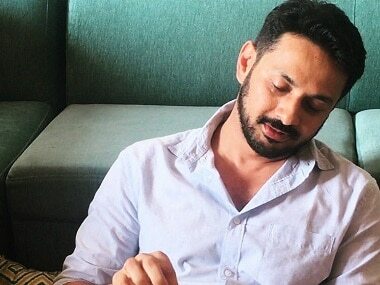 Days after the release of Hansal Mehta's slice-of-life entertainment Simran, writer Apurva Asrani has released the 'original' script of the film on Twitter. Asrani and Kangana Ranaut, who plays the lead, were in the middle of a murky controversy over the writing credits of the film. For what it's worth, the writer has posted his version of the film on the micro-blogging site, leaving it to the people to decide what would have been better — the Simran he had imagined or the Simran that finally made its way to the theaters. Although the film was expected to shake things up at the box office, considering Ranaut's star power, a slew of explosive interviews in the face of glaring controversies, it could not live up to expectations. Collecting about Rs 13 crore, the film garnered mixed-reviews for its weak storyline and a convoluted second half. Asrani's latest move has Twitter divided. While some people are coming out in his support, deeming his script an impeccable piece of art, some are pointing out the scenes which are allegedly missing from his script but are there in the entertainer. If that was truly Kangana's addition or Hansal's idea, they single handedly elevated your flat, verbose scene where she just complains. This script is far more superior than what I saw on screen.